Services — Czar Press - You Design It, We Print It. 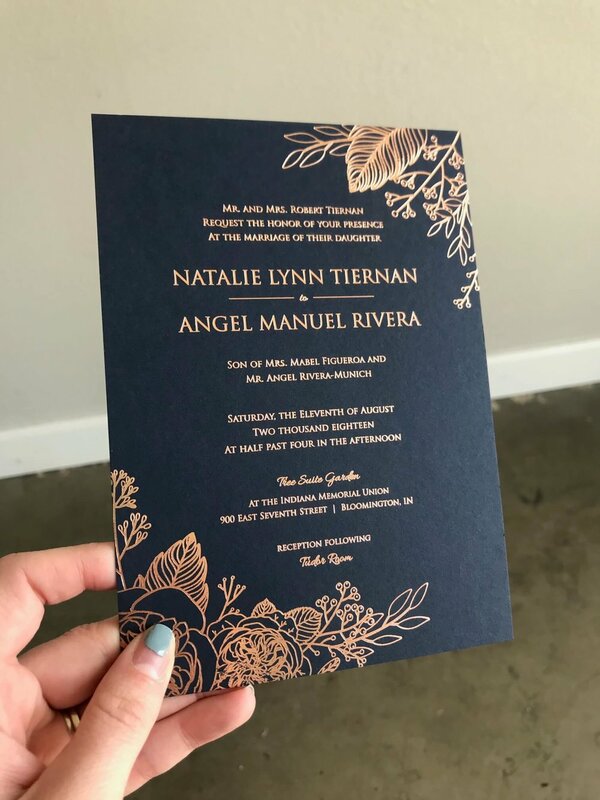 Letterpress is an over 500 year-old relief printing technique which uses a printing press. Our presses are between 80 and 100 years old and are printing as well today as they ever have. Letterpress uses a unique plate, created for each artwork, which is inked on the raised surface and pressed against the paper. 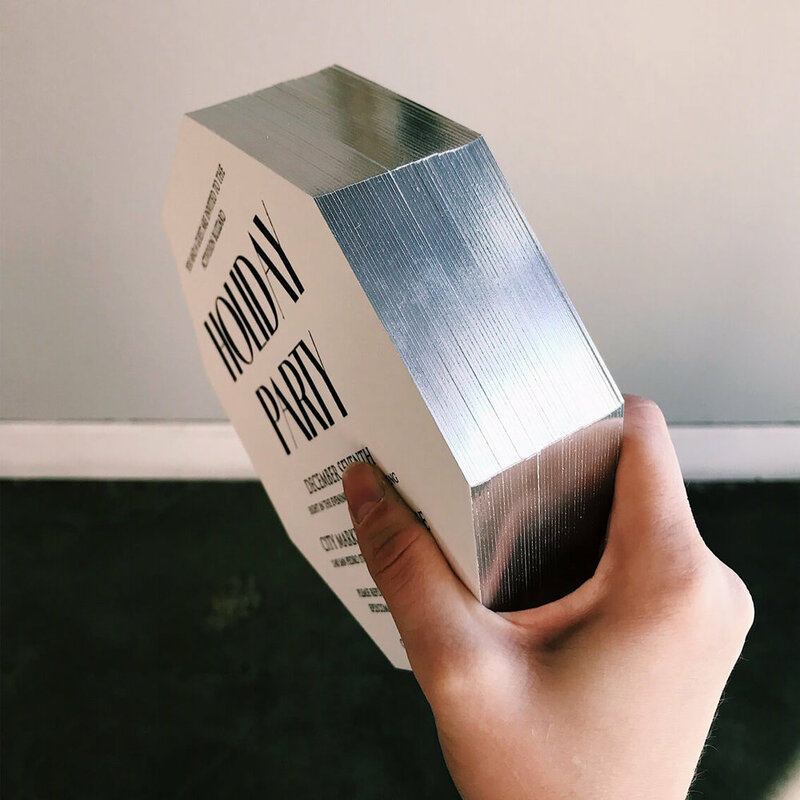 Our letterpress plates are aluminum backed polymer, and made in house for each job. We house over 250 inks for letterpress, and can custom mix to any uncoated Pantone color. • Great for deep relief and intricate detail. • Can be a budget friendly alternative to foil (i.e. using a hot pink ink instead of opting for hot pink foil). Foil while similar to our letterpress process, uses a magnesium plate and high heat to transfer the foil to the paper. It has a slight relief in the surface it’s printed on, though not as much as letterpress. Foil is a great option to give your print jobs that extra wow factor. We have a wide variety of foil colors in house, including Gold, Silver, Champagne, Copper, Matte Gold, Rose Gold and White. If we don’t have the color that you’re looking for in-house, custom colors can be ordered for an additional $40. • Best process for metallic printing on any paper or for white printing on colored papers. • Excellent for fine detail and line-work. 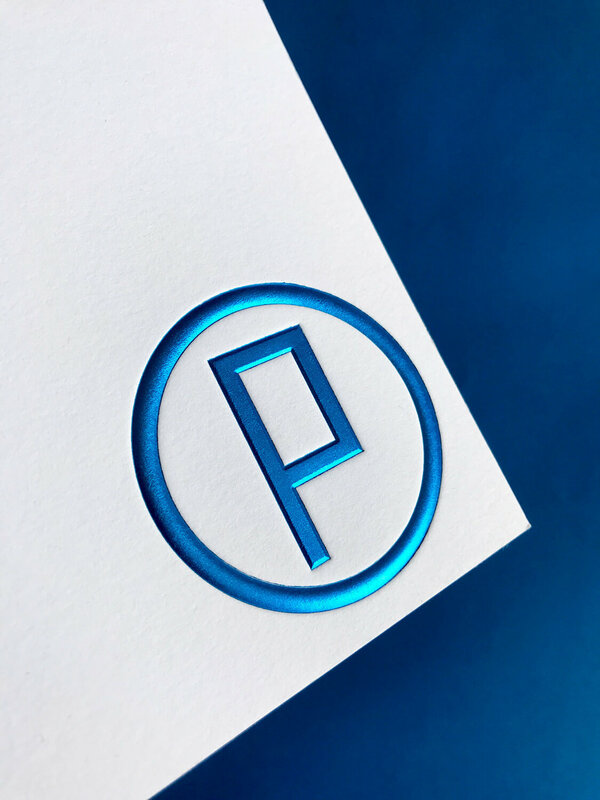 Flat, or digital printing, is our most economical print method and makes a great accompaniment to letterpress and foil. It offers a full range of color coverage on a variety of papers, including our house paper Crane’s Lettra, vellum, and colored papers such as Mohawk Keaykolour. We can also color match to almost any pantone color in case you want to coordinate colors with some letterpress pieces. • Our most economical process. • Excellent for pieces that include images that require a wide-range of colors, such as photographs or watercolor paintings. • Can be used for variable data projects such as envelope guest addressing. Screen Printing is great for posters, large quantities and full color coverage. It’s also a great option for printing on unique substrates, like acrylic, metal, wood and cardboard. It’s a great choice for pieces that are too big to letterpress, foil, or flat print as our max print areas for letterpress is 18 x 24. We do not print on fabric or apparel. • Excellent for large size projects such as posters or signs. • Wide range of ink color options including white, metallics, and neon colors. • Can be used on a wide range of materials and mediums. 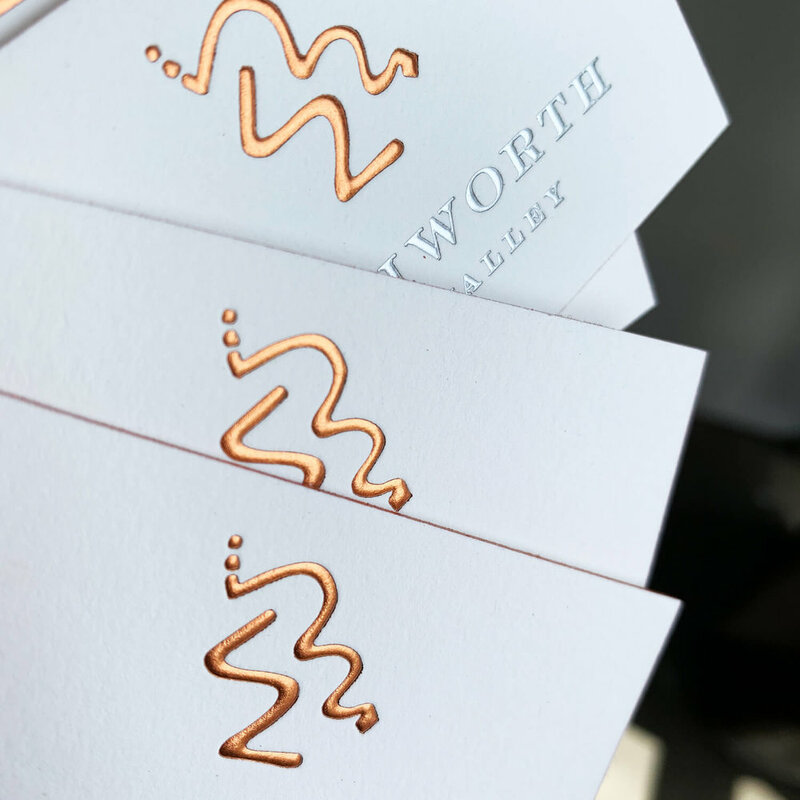 Embossing is our most premium printing process and is perfect for when your project just needs a little extra punch. Embossing uses a die and a counter-die to raise the artwork above the surface of the paper. While it’s costs are higher than our other processes, the results can’t be argued with. We currently offer both blind and foil embossing. • The only process we offer which can give you a raised, 3D effect. • An excellent way to add dimension or texture to your piece. • Works great with thick, cotton based papers like our house Crane’s Lettra. Edge Foil applies the same foil used for foil stamping to the edges of your paper pieces. In this process a machine is used to sand down each edge of the printed piece and applies the foil using a high heat process. Edge Paint is a great addition to business cards, stationery and wedding invitations. This process adds color to the edges of your paper pieces. We can color match edge paint to any pantone, most metallics as well as neons! Die-cutting allows pieces to be cut into unique shapes. We have hundreds of shapes in house, circles, squares, stars, hearts, envelope liners, scalloped corners and rounded edges. We also have more custom shapes like the state of California, French Bulldogs, cars, and fruits. Get in touch about creating a custom die for a new shape! Scoring uses custom set metallic scoring plates to create creases wherever you need them. This processes is good for creating folded cards, booklets, belly bands, gate-folds, z-folds, pockets, custom envelopes and boxes. Duplexing is the process of making a paper thicker through a gluing two or more sheets together. 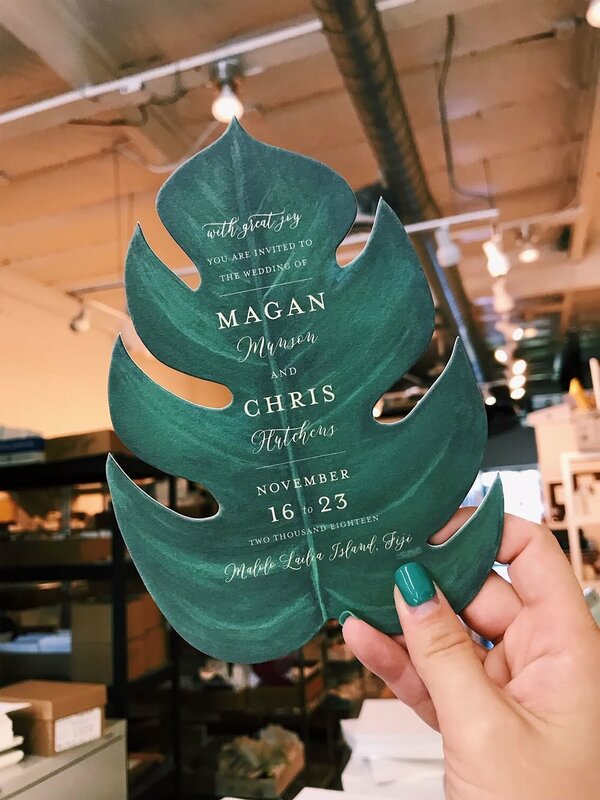 We can double, triple, quadruple (and so on) your specific paper, or we can glue papers with different colors or textures together to give you a layered look. Specialized assembly is offered for custom pockets, envelopes, mounted pieces and more. Please get in touch if you have a project that has unique assembly needs– we try to accommodate most requests!